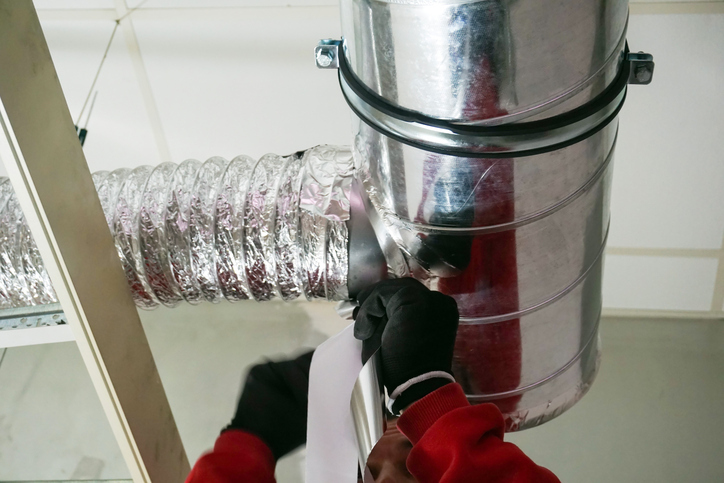 Air Ducts: What You Can�t See Can Harm Your Health & Your Wallet! Here at Shipton’s Heating & Cooling, we are strong advocates for regular annual air conditioning and heating system maintenance. We have three main reasons for continually re-emphasizing the importance of HVAC annual maintenance. The first is that scheduling annual preventative maintenance can fix small problems before they become big costly problems. The second is that a poorly maintained HVAC system can turn into a health and safety risk all too quickly! Heating equipment and electrical equipment are two of the top 10 causes of home fires in Canada each year. And the third reason is that the annual A/C and heating preventative maintenance check gives us a chance to identify a third top health and safety risk that might otherwise go completely unnoticed—clogged air ducts! Whether it is hot or cold outside, your air ducts are responsible for keeping your indoor space comfortable year-round. If you live in a new, airtight home, perhaps your air ducts have been “on the job” only for the past few years. But if you are like many home and business owners today, you live and work in an older space with an air duct system that you inherited. In this case, it is possible you have never actually laid eyes on your air ducts, at least from the inside out. Those air ducts may have been up there doing their work for five, 10, or even 15 years without ever being cleaned or maintained! The truth is, if we weren’t so steeped in the air conditioning and heating business (for nearly a century now! ), we probably wouldn’t ever think about our own air ducts either. But thanks to our industry, we see firsthand how air ducts can get really dirty over time. And dirty air ducts can turn into a fire risk in the time it takes for a single spark to fly. How can the debris trapped inside your air duct system possibly contribute to a home or workplace fire risk? The air ducts are enclosed and the dust and dirt is inside of them. Unfortunately, more of that dust and dirt can sneak out than you probably realize. One reason is simple old age. As we ourselves know, the older we get, the more we sag. The same holds true for your air ducts. With age, the material your air ducts are made from can start to degrade. As your ducts begin to degrade, they sag. This can cause the seals between duct corridors to pull apart. Before you know it you have air leaks. Dust and debris then begins to leak out of those openings. Older air duct systems, particularly those built in the now-classic “Ductopus” style (so named because the ducts look like an octopus tangled up in its own arms), can spring lots of little leaks over time, causing more trapped matter to escape. All it takes is one tiny spark from a loose electrical connection for a fire to start. In addition, duct systems that have never been cleaned and maintained can become so clogged with dust, dirt, debris and other matter that some of that material gets pushed out every time a new blast of temperature-controlled air is pushed through the ducts to the different rooms in your space. This causes predictable health symptoms, including coughing, wheezing, sneezing, watery eyes, itchy nose, sore throat, headache and, for those who have asthma, increased asthma attacks. Luckily, your air ducts don’t need an annual safety and maintenance checkup the way your air conditioning and heating system does. But every five to 10 years, it simply makes smart safety sense to take a look up inside your air duct system to see what there is. Sometimes you don’t even have to look all the way inside your air ducts to spot problems. For example, if you can see insects crawling or flying in and out of your air registers and/or exhaust vents, or if you can see dark or white powdery spots forming around the registers and vents, these are warning signs you have trouble brewing inside your air ducts. But sometimes everything looks just fine from the outside looking in, and then it’s time to dig around for any record of your air ducts ever being cleaned and maintained. If you can’t find any and you’re living or working in an older space, it’s time to consider getting the professionals in. Here at Shipton’s, we started our sister company, Clean Air Solutions Hamilton, specifically to address the health and safety issues associated with poorly maintained or unmaintained air ducts. In this video of our air duct cleaning process, you can see inside one set of particularly dirty air ducts! Not only can dirty air ducts represent a fire safety risk and cause health symptoms, but they can also reduce the efficiency of your air conditioner and furnace, both of which must now work harder to blow air through the ducts, which causes more of a power draw and higher utility bills. But we never do anything until we first run a remote micro-camera up inside your air duct system to see if your ducts actually need to be cleaned. You will see exactly what we see, and we can decide together if now is the time to clean, sanitize and deodorize your air duct system. 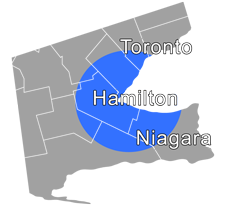 Contact us online or give us a call at 905-549-4616 to schedule your annual HVAC maintenance and learn more about professional air duct cleaning and maintenance!